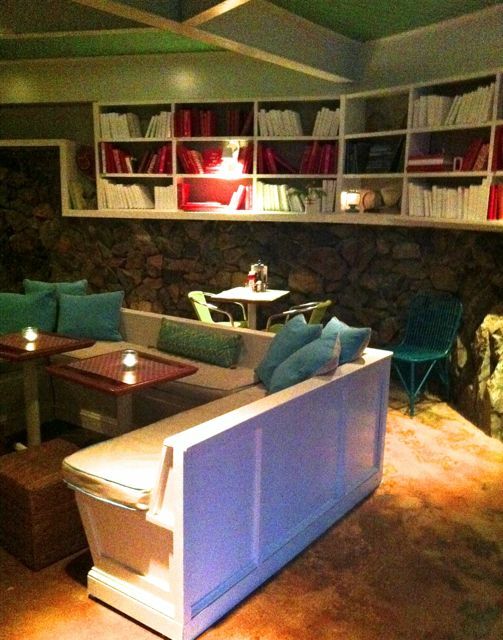 Benches (or couches) really finish the look of a room. 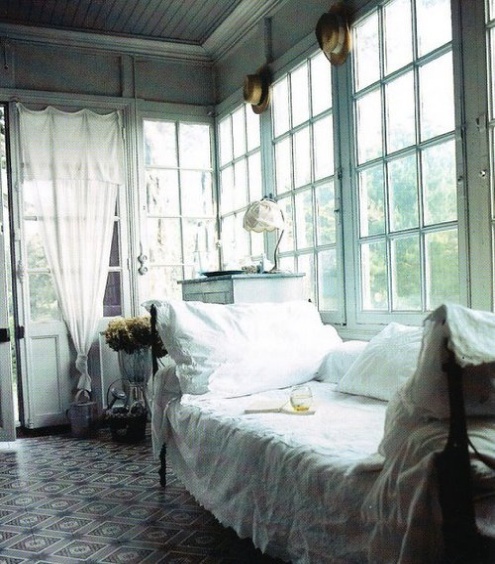 I would love to have a bench at the end of my bed but you do need a fair size room to get this look. 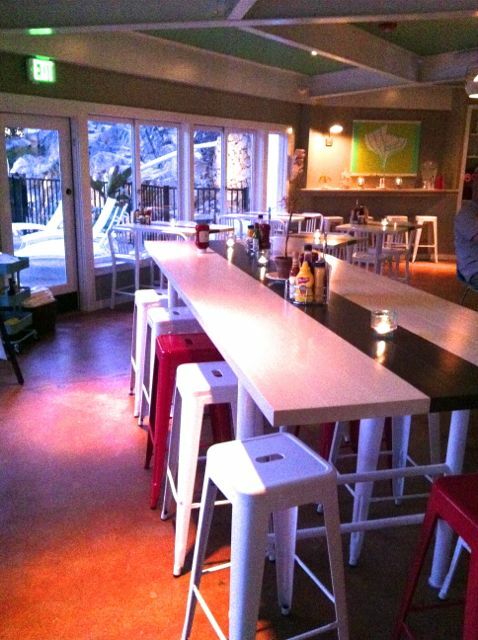 Some of these gorgeous benches would fit in a smaller space like the wooden one in the first photo. I love how they styled the bench in this picture but it would have looked equally good without anything on it at all. 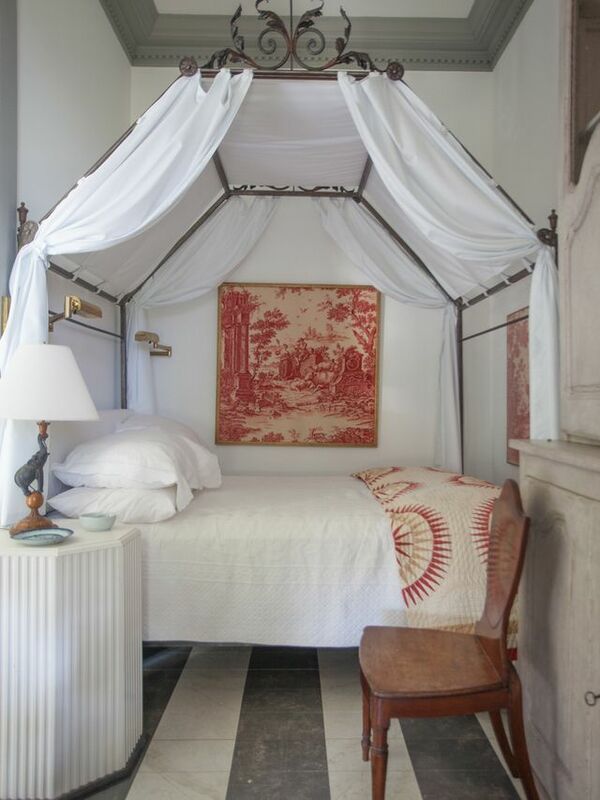 I love the couch designer Christine Dovey added to the end of the bed in the second photo. 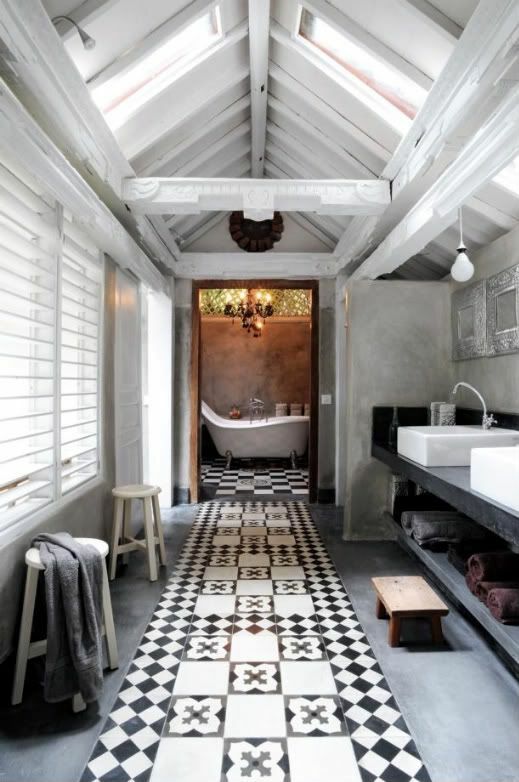 The entire room is beautifully done. 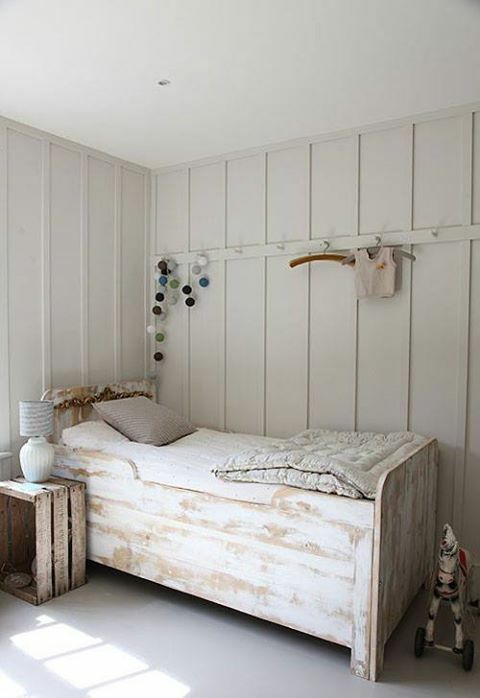 What type of bench would you add to a bedroom? 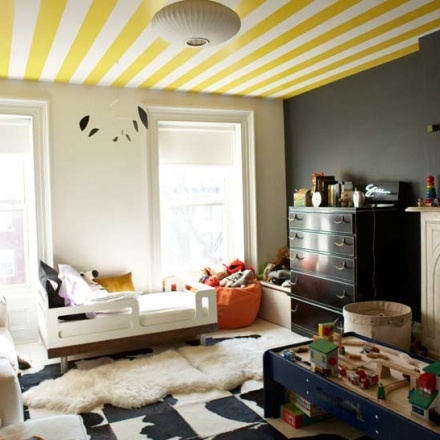 What is so great about this kids room is that everything is made with the child in mind. 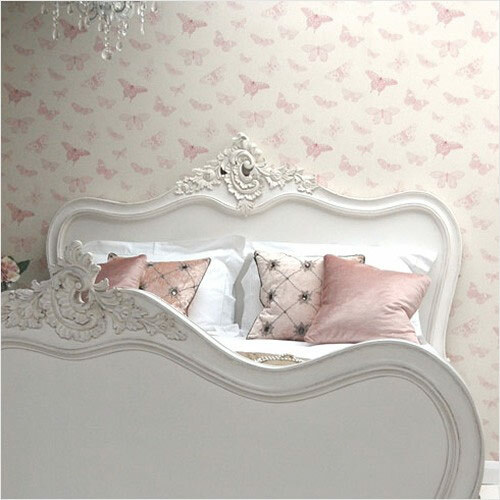 It is very pretty with lovely pale colours and it feels very carefree and creative. 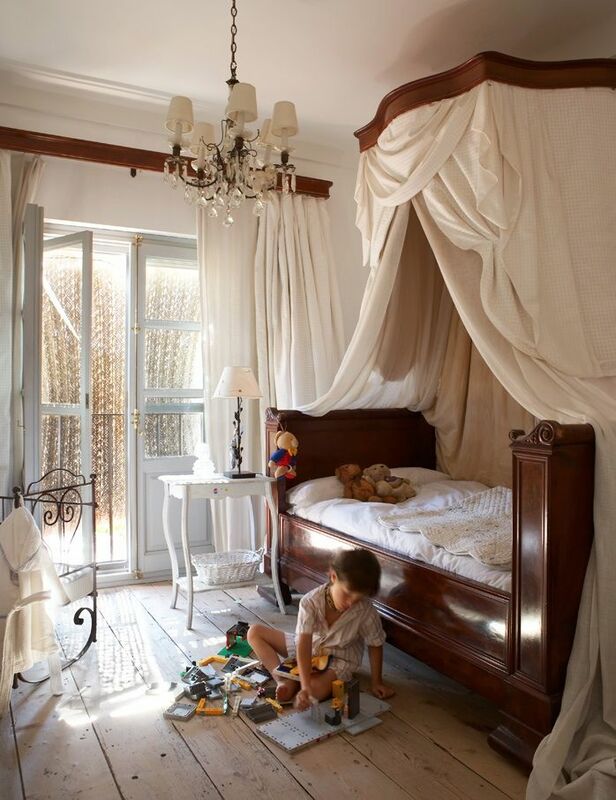 Everything is accessible for the child such as the low blackboard, the mirror, the little couch.....so adorable! 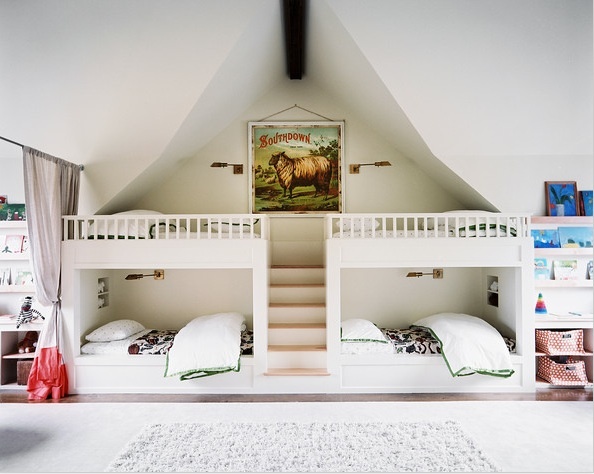 Of course the new beds for kids are amazing as they transition so well from baby to toddler and beyond. I wish they had these wonderful styles when my daughter was little! 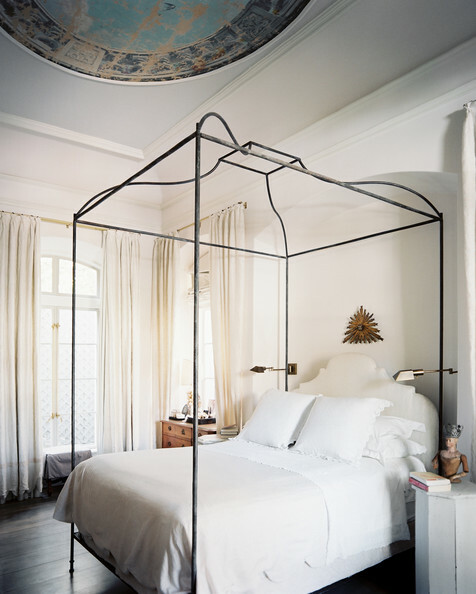 I think I must like canopy beds a lot because as I was going through my Pinterest I realized that I have many photos of this style of bed....but really what is not to like about a canopy bed. 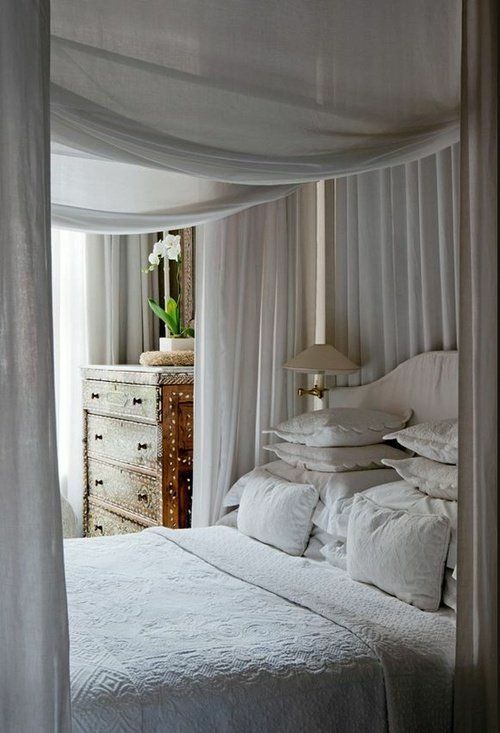 Beautiful big beds with flowing fabric, often in white, creating a gorgeous romantic setting. 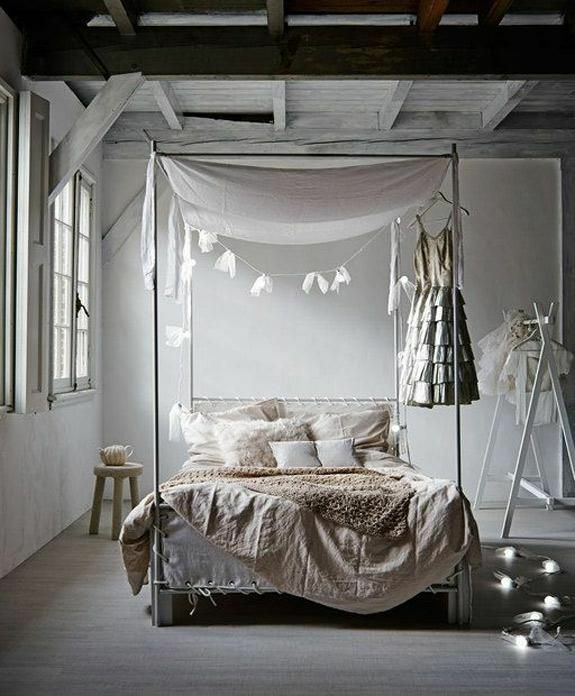 I know they say that a canopy bed should only be used in a very large room but I am not so sure about that. 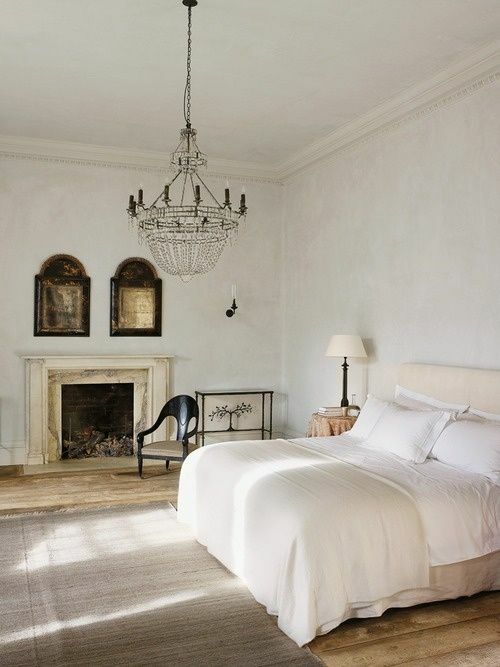 Of course it looks amazing in a big room but I think it can look equally fantastic in a smaller space if done right. 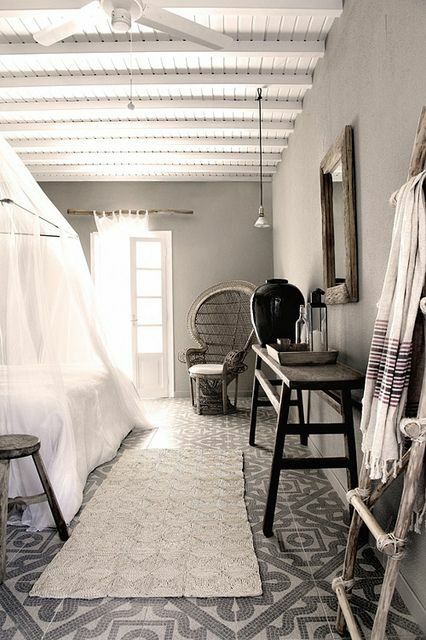 I love how it can be made to look traditional and more formal or very loose and relaxed with a simple sheet floating lightly over the bed....and when it is done in white it is the best! 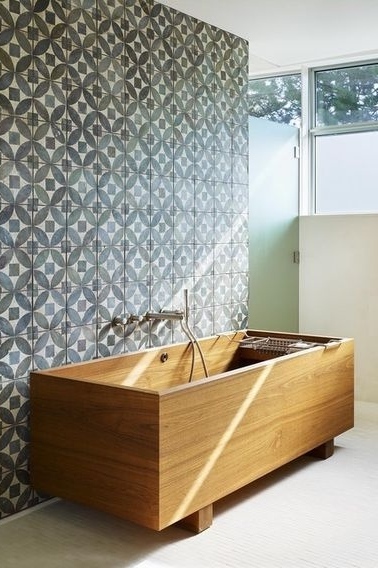 Tiles are back in style and I really like the look. 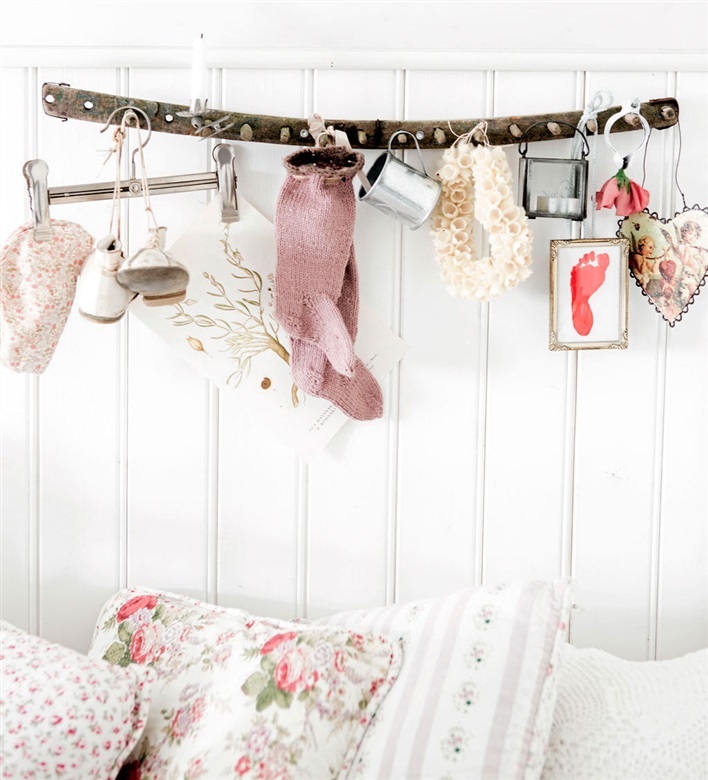 I have seen so many great ones on blogs and they have been used in really fun ways. 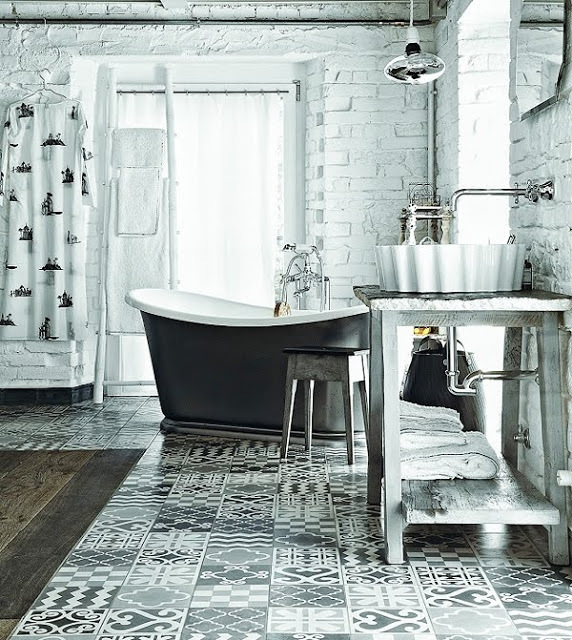 I was at my favourite tile store today looking for tiles for a clients home and they had the most amazing black and white tiles with 9 different patterns that could be mixed and matched. 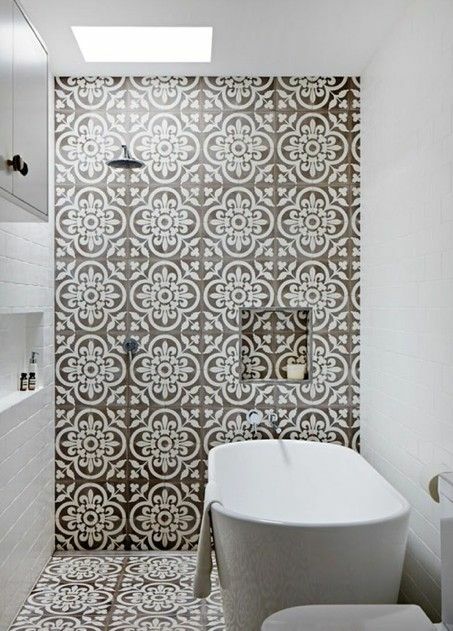 I would love to do a wall of those tiles or a small room somewhere...mmm who will be the lucky client? 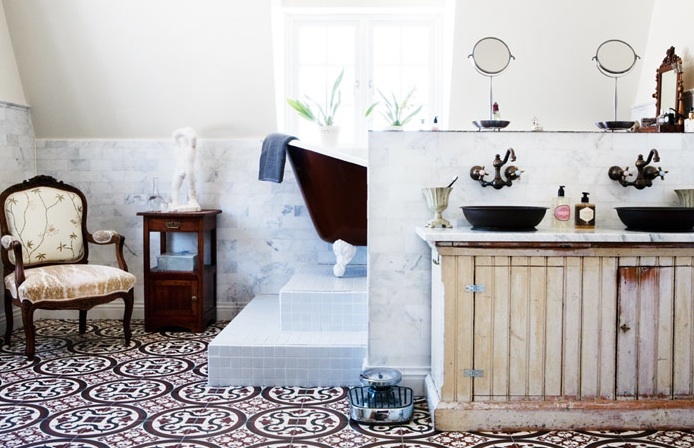 Take a look at some of these ideas for adding impact to any room of the house with tile! 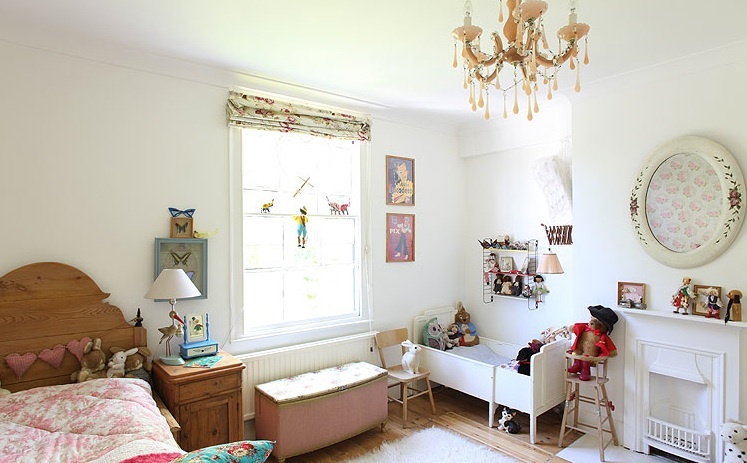 It is funny how when I am looking for homes to share with you I seem to come across certain things over and over...like a certain type of carpet or a lamp that shows up in various homes over and over. 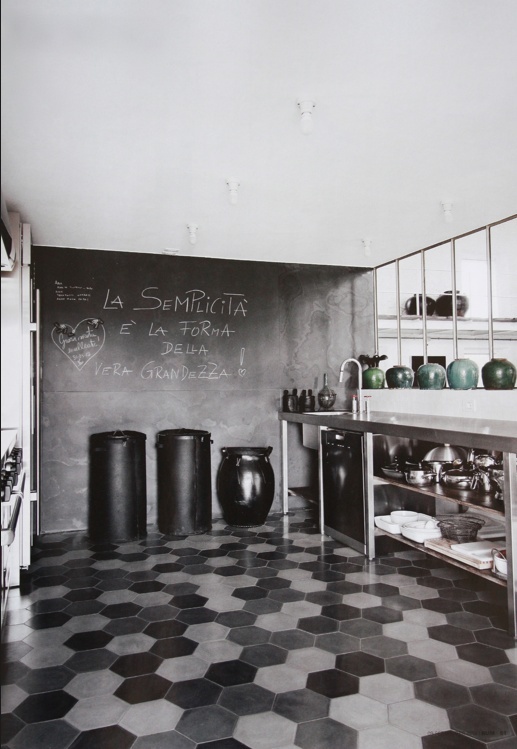 It is not just things that I know are on trend...I think it is just like I am seeing something old as if it were new again. 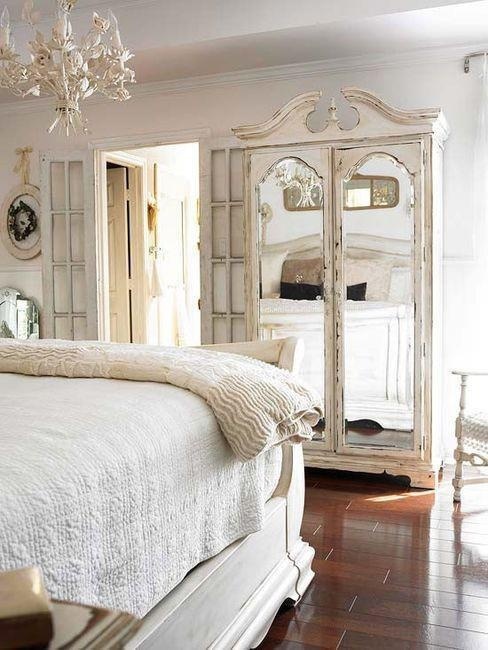 Well I have been seeing this certain antique of bed in all different styles of homes and they are such shabby goodness I had to show you! 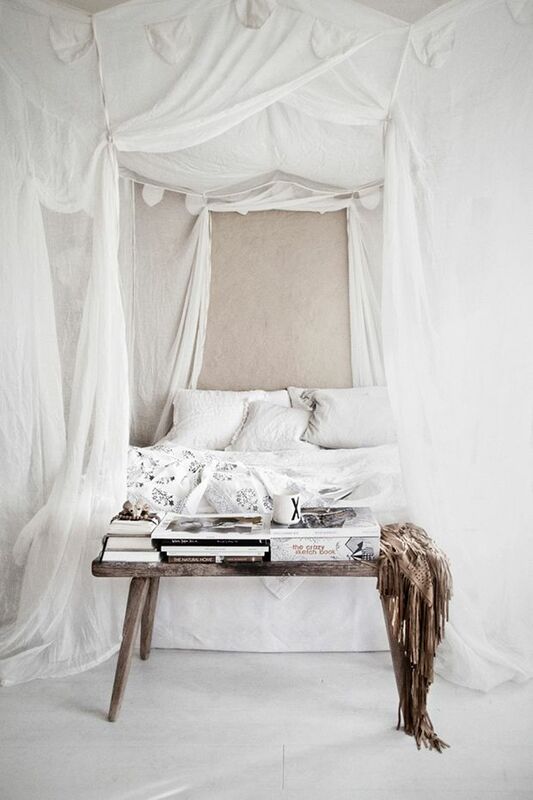 They look amazing in a bohemian setting or super sophisticated...I love them in white but they look gorgeous in colour or in wood as well. My favourite is the first photo..oh so gorgeous don't you think. 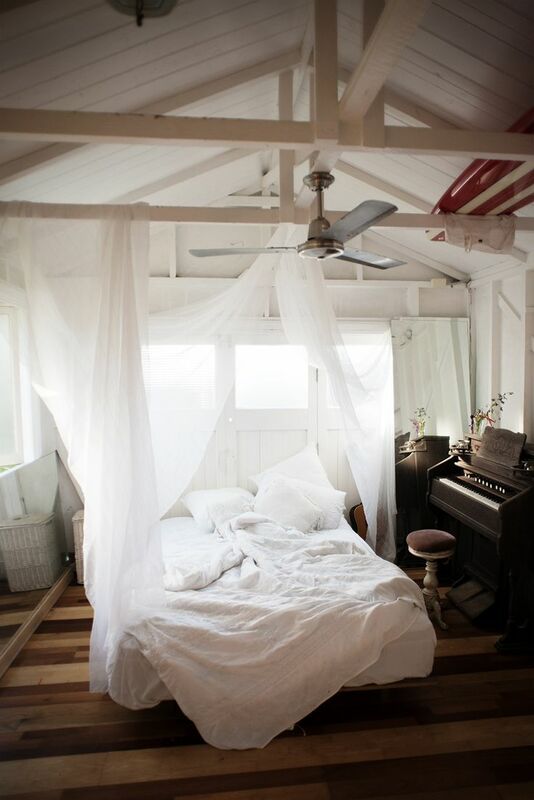 I am thinking of redoing my bedroom or at least moving things around and freshening it up a bit. 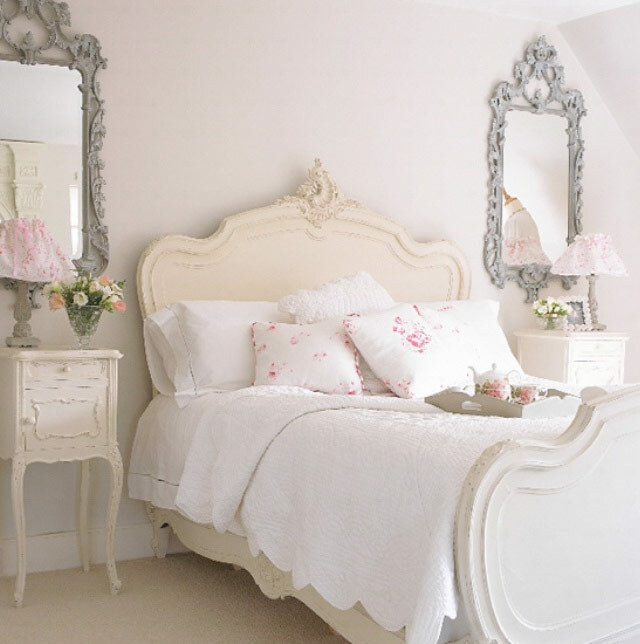 I have been looking for inspiration and I always come back to rooms that look very much like my own room now! 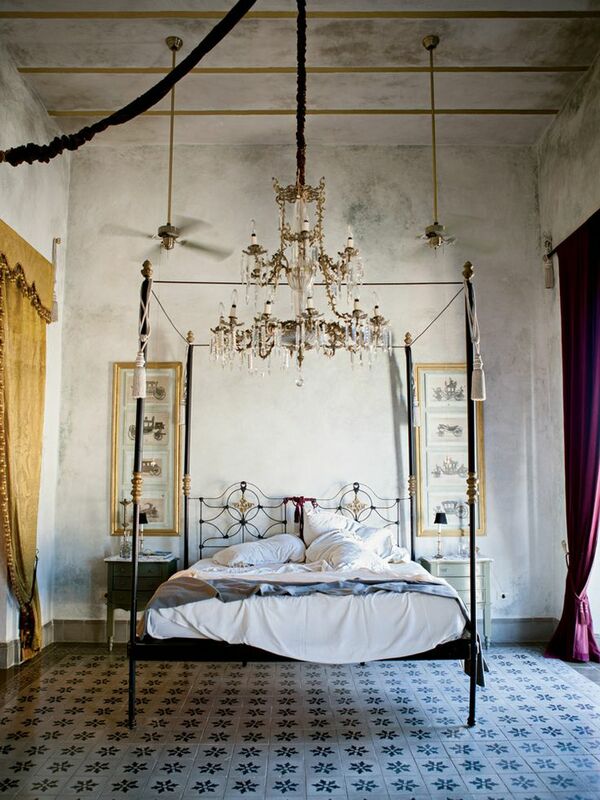 They all seem to have this romantic feel with a large fabric headboard and a large chandelier over the bed. 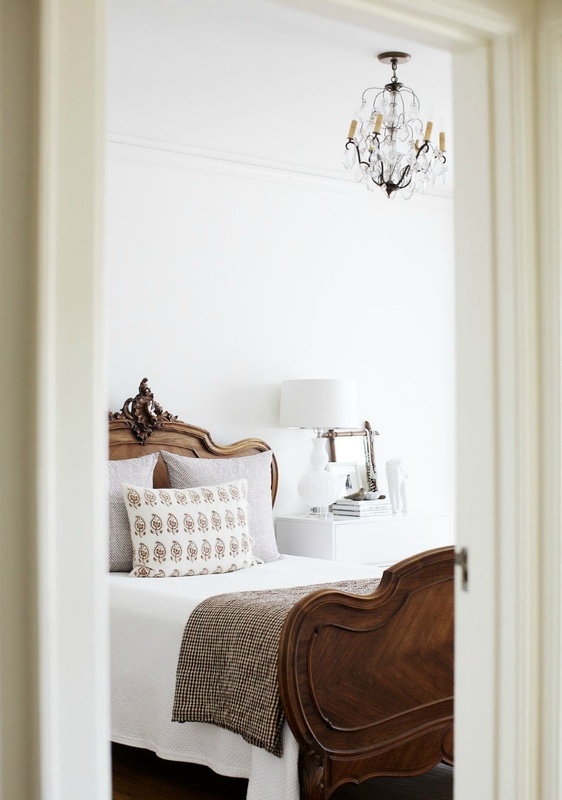 I like to keep the bedroom simple.....not too much furniture and certainly not much color but it needs to be pretty and feminine. 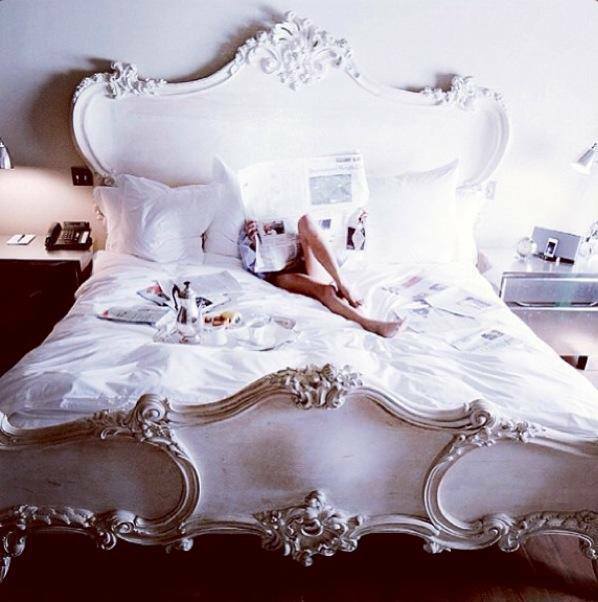 I really do love my bed...it is super comfortable...because I started with a really good mattress and a really good pillow. 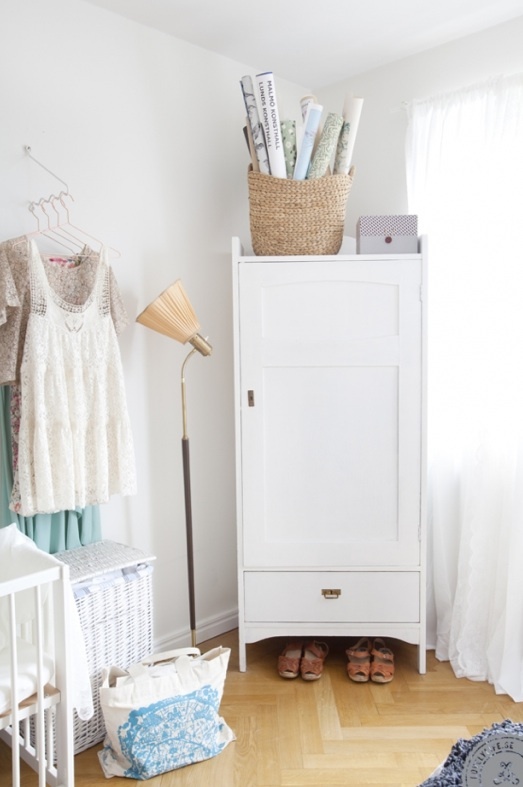 Like all great rooms you have to start with good basics first and then dress it up from there. 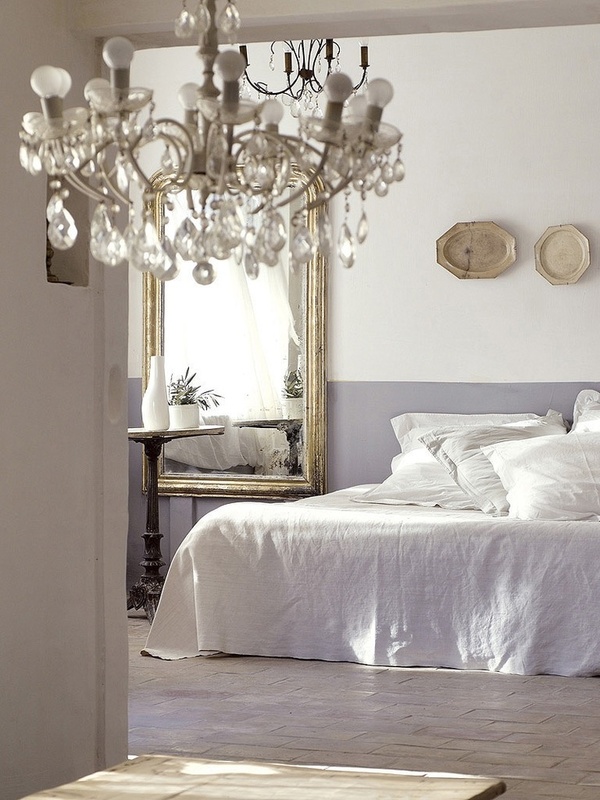 I think maybe adding new bedding may be just what I need to freshen it up, perhaps a new crisp white linen cover would do the trick....new rug and maybe a new dresser....in the meantime it is great fun looking for ideas! So my husband and I decided to take a totally last minute vacation to Maine and if you know this area you know that everything is booked well in advance and you are pretty much left with Motel 6 if you book late. For about 12 years we came every summer to Ocean Park, Maine for a week and we rented the same house over and over. It was so lovely to spend lazy days at the beach watching our kids (we were always 3 couples) make wonderful childhood memories. My daughter is now 19 and this is the first time we have come to Maine on our own. So two weeks ago I scoured the internet and found a lovely new place. 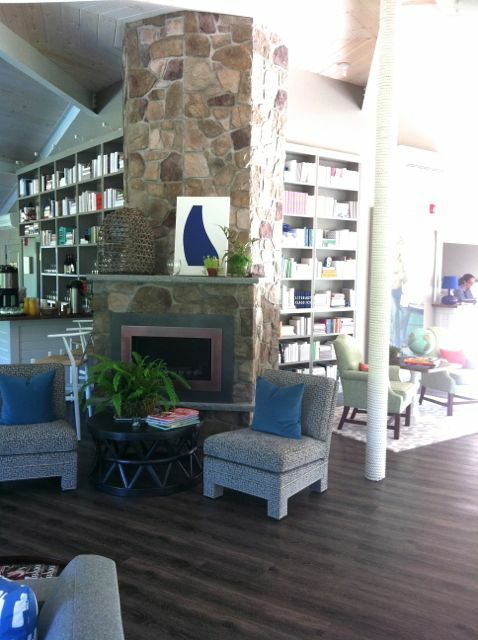 The Lodge on the Cove is owned by a hotel group that has bought up older properties around the Kennebunkport area and completely refurbished them. Our motel just re-opened a month ago and is still unknown so that is why there was still a couple of spots left. 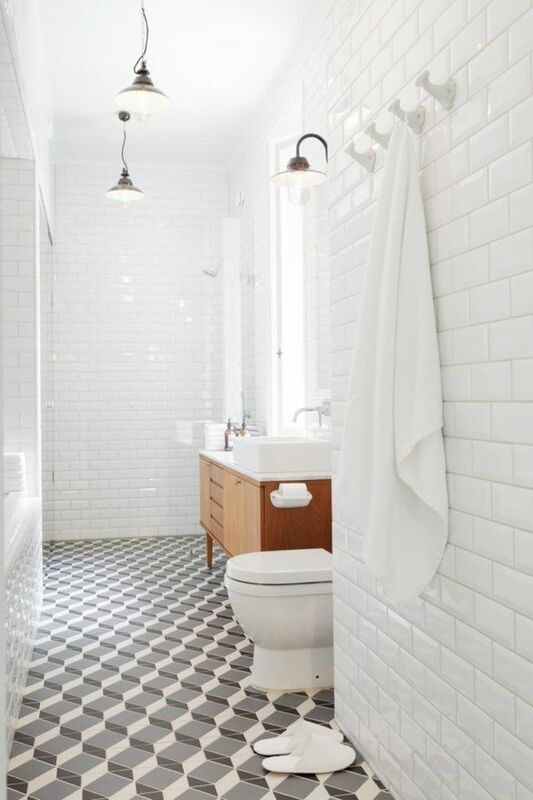 Bright white with splashes of bright colours everywhere it is hip and fun and very comfortable. There is a pool (the ocean is about 1 mile from here) a lovely little lodge with a restaurant and free bikes to ride. Some of these are my photos (a couple of them I took late in the day so they are a bit grainy) and some are from the website. 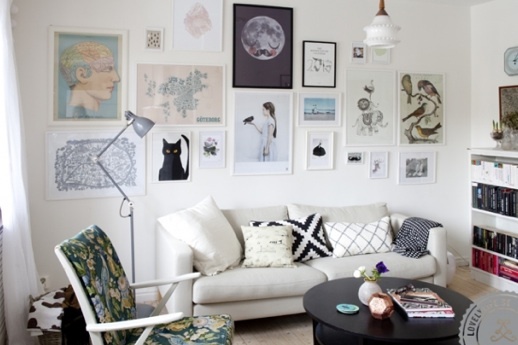 This little bright apartment has such a great feeling to it with all of the pretty prints on the wall and the fresh light decor. 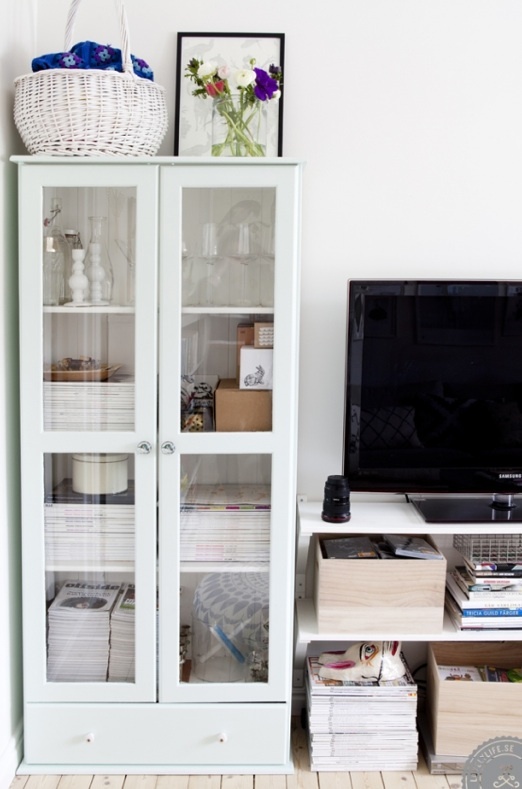 Lots of pretty pastels throughout add a real warmth to the space. 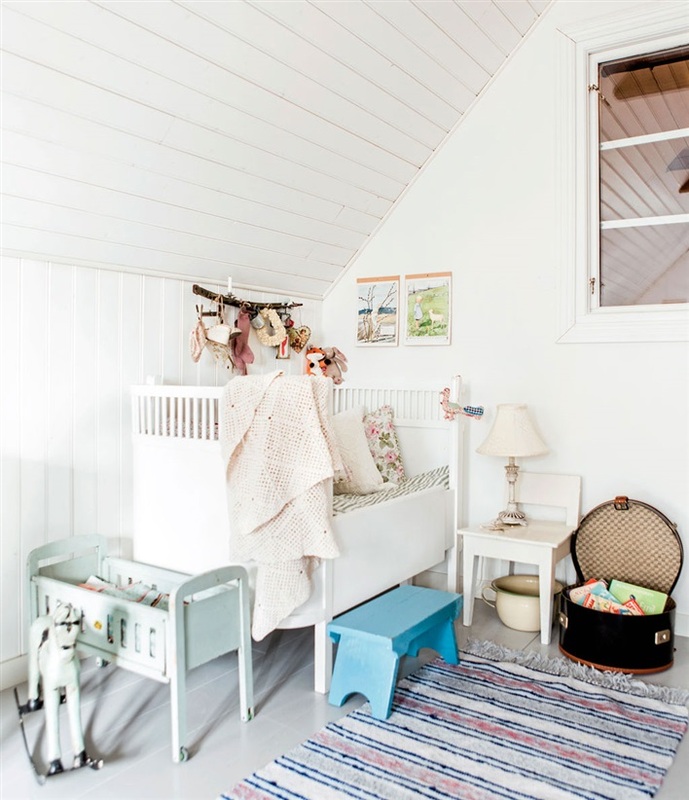 The kids rooms are adorable and feel just right for little ones. 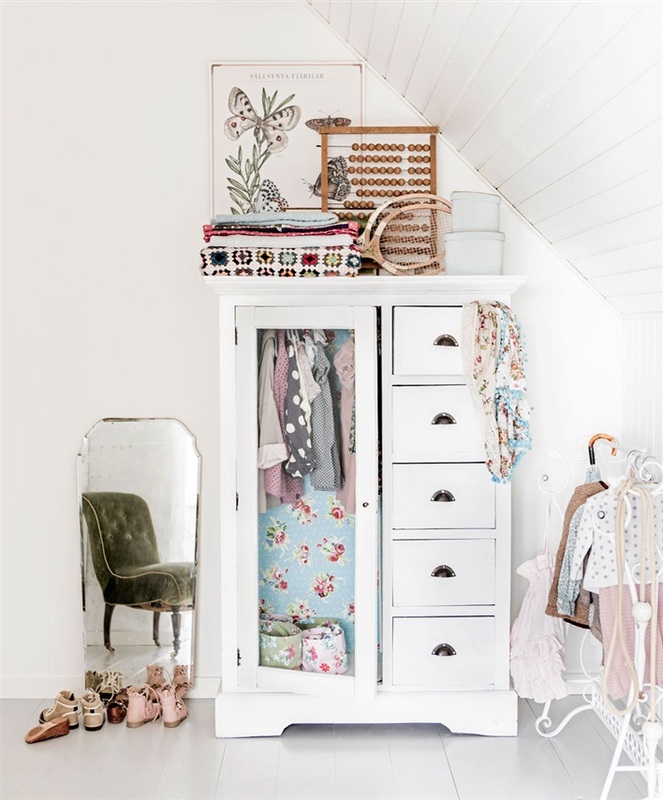 I am keeping my eye out for great kids rooms these days as one of my lovely clients is having a baby so I would like to have some ideas for the babies room. 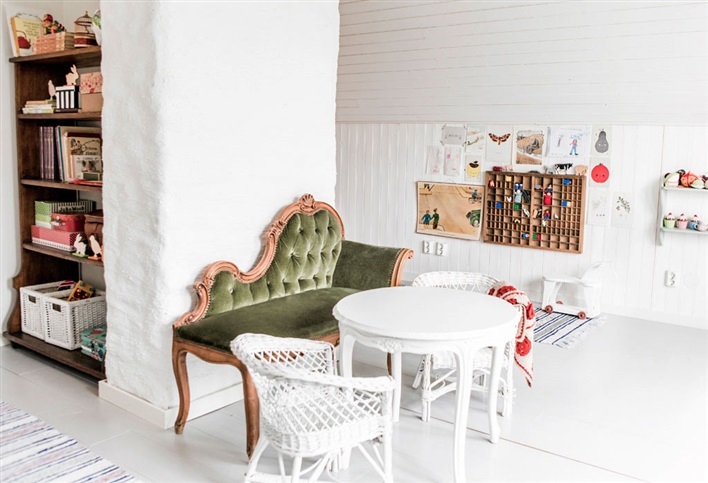 The little rag rugs throughout the apartment fit perfectly with the rest of the decor. 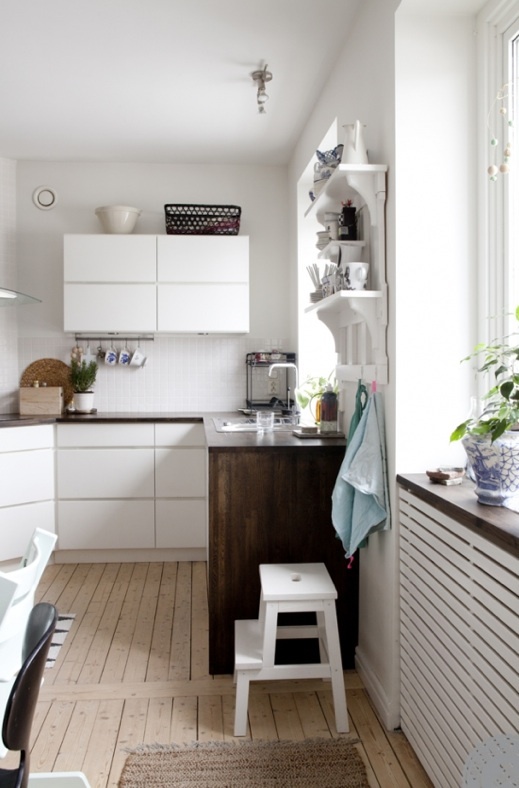 A very sweet space for sure!